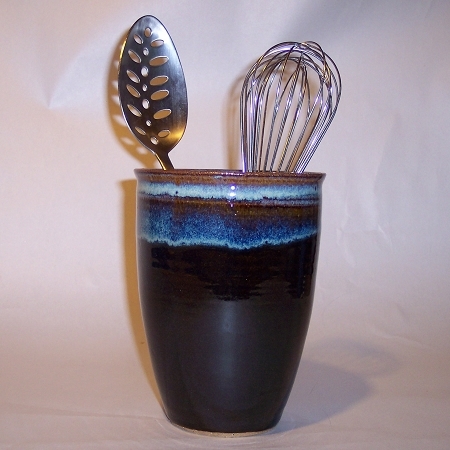 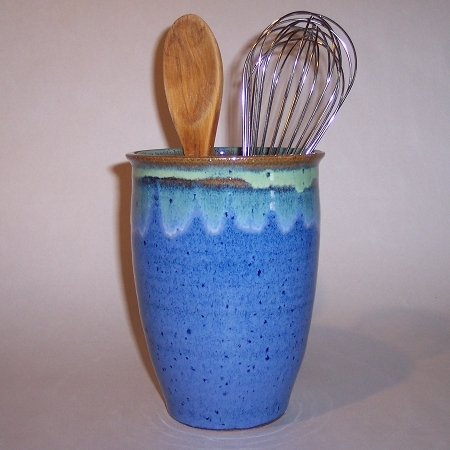 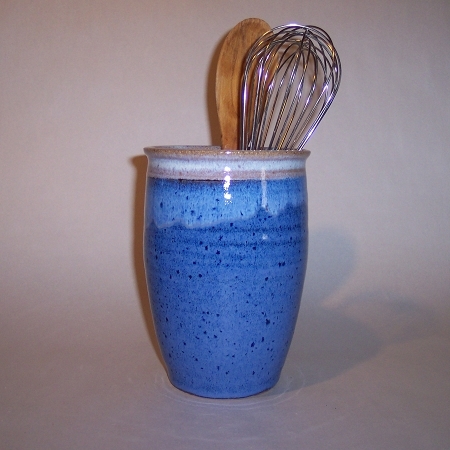 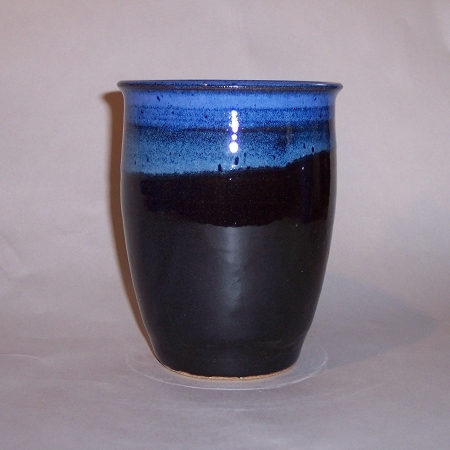 SWD Pottery Works makes hand thrown pottery utensil or spoon holders. 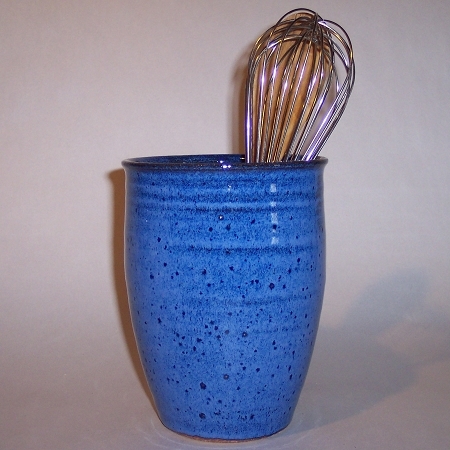 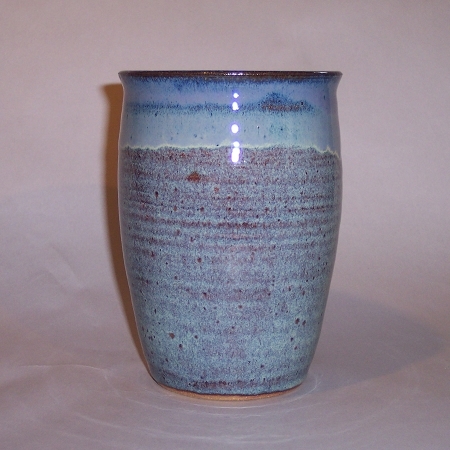 They are functional as well as attractive and come in a variety of glazes to match your kitchen decor. 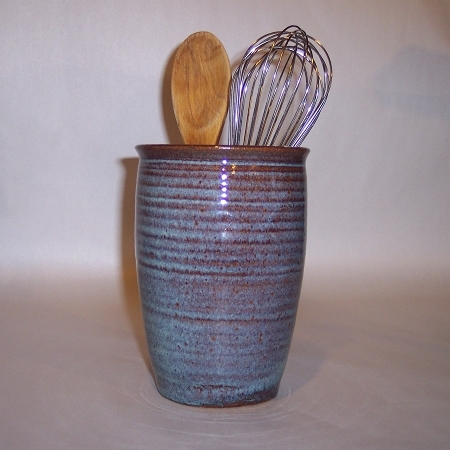 Each of these handmade pottery utensil holders are individually wheel thrown and unique in size and shape. 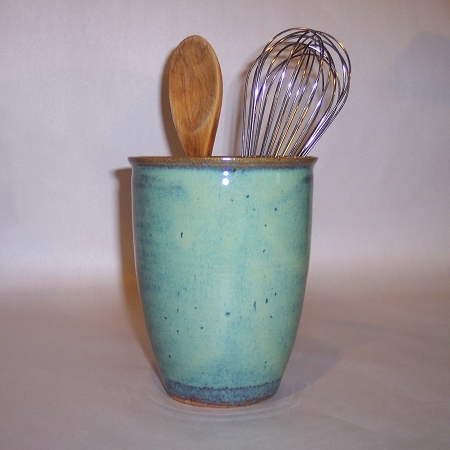 Therefore, the handmade stoneware utensil holder you receive will not be exactly like the one you see.